By Keith Cowing on September 24, 2018 11:58 AM. Keith's note: Once again NASA is trying to tell us that all is well in space and that it is moving ahead with a plan - "The National Space Exploration Campaign aims to revitalize and add direction to NASA's enduring purpose to carry out human and robotic exploration missions, expanding the frontiers of human experience and scientific discovery of the natural phenomena of Earth, other worlds, and the cosmos as a whole." Despite the lofty words including the addition of the "cosmos" among NASA's ambitions, this plan is actually a withdrawal from earlier, more lofty exploration goals. Of course, this report from NASA was due quite some time ago (last year) but NASA never bothers to do what Congress directs them to do - even if it is in the form of public law i.e. P.L. 115-10 which was enacted on 21 March 2017. According to this report: "2024 - Based on results of human-class lunar lander capability demonstration missions, status of other human systems, other possible mission enhancements (e.g., retro-braking stage, launch vehicle availability) make decision on date and method of human lunar surface return and the mission objectives." In other words we still have to wait until 2024 to decide how to land Americans on the Moon a gain. But then it will take how may years before we actually do this? All the report says is "Post-2024 Decisions - Based on the cost of lunar surface access, viability of higher-power systems and ISRU, as revealed by exploration and science missions and technology investments, and on private-sector and international demand for lunar surface access, determine the nature of a sustainable American human presence on the lunar surface and associated infrastructure development projects." In other words it will be close to the 2030s before an American lunar lander reaches the Moon. During the Obama Administration we were going to be sending human crews to Mars (if you believed their Powerpoint slides) by the early 2030s. So now NASA is going to take almost as long only to land humans a quarter million miles away. Those are certainly lowered expectations. That sounds like negative progress - again, if you believe NASA's notional Powerpoint slides and white papers. 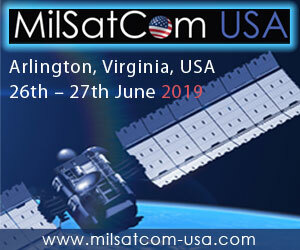 "2022 - Based on status of commercial module and/or free-flyer space station development and emerging commercial activities on ISS, fine-tune plans to end direct Federal funding of ISS by 2025 to ensure continuous access to a LEO space platform. Post-2024 Decisions - Based on the status of commercial module and/or free-flyer space station development and emerging commercial human spaceflight activities in LEO, decide on appropriate NASA and overall governmental support to ensure ongoing NASA requirements and permanent U.S. presence in LEO." In other words NASA says that this ISS conversion to private sector operations will happen - unless it doesn't happen. As For Mars, well, the whole "by the mid-2030s" thing that Obama people made NASA say does not look very plausible now. Not only will NASA just be landing its first people back on the Moon again, but according to this report it won't even have an architecture for going back to Mars for another 6 years (Apollo had one before people even flew on Apollo but who cares). One would assume, at this snail's pace, that vehicle design and construction would drag on like Orion/SLS has for the past decade. 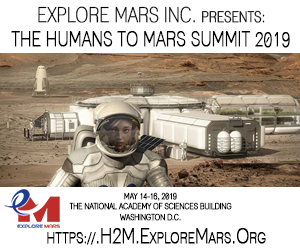 "2024- Based on results of investment in Mars-forward technology R&D investment portfolio, Gateway development and operations, launch vehicle and crew vehicle development and operations, decide on architecture of human Mars orbital mission and begin associated systems development. Post-2024 Decisions - Based on results of robotic roundtrip mission, cislunar operations, and progress of Mars-forward technology R&D investment portfolio, determine set of technology investments and timeline required to achieve human landing on the surface of Mars." In a nutshell, NASA's words may indicate that it has lofty goals but the murky timeline it presents suggests that its ability to do the things needed to meet these goals decreases in terms of speed with every passing year. Meanwhile, American commercial companies with billions in their own funding are planning to send people back to the Moon. 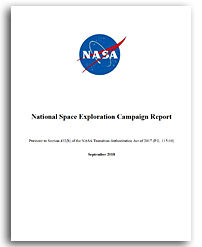 National Space Exploration Campaign Report - Pursuant to Section 432(b) of the NASA Transition Authorization Act of 2017 (P.L. 115-10), September 2018, NASA\n\n Keith's note: Once again NASA is trying to tell us that all is well in space and that it is moving ahead with a plan - \"The National Space Exploration Campaign aims to revitalize and add direction to NASA's enduring purpose to carry out human and robotic exploration missions, expanding the frontiers of human experience and scientific discovery of the natural phenomena of Earth, other worlds, and the cosmos as a whole.\"\n\nDespite the lofty words including the addition of the \"cosmos\" among NASA's ambitions, this plan is actually a withdrawal from earlier, more lofty exploration goals. \n\nOf course, this report from NASA was due quite some time ago (last year) but NASA never bothers to do what Congress directs them to do - even if it is in the form of public law i.e. P.L. 115-10 which was enacted on 21 March 2017. \n\nAccording to this report: \"2024 - Based on results of human-class lunar lander capability demonstration missions, status of other human systems, other possible mission enhancements (e.g., retro-braking stage, launch vehicle availability) make decision on date and method of human lunar surface return and the mission objectives.\" In other words we still have to wait until 2024 to decide how to land Americans on the Moon a gain. But then it will take how may years before we actually do this? \n\nAll the report says is \"Post-2024 Decisions - Based on the cost of lunar surface access, viability of higher-power systems and ISRU, as revealed by exploration and science missions and technology investments, and on private-sector and international demand for lunar surface access, determine the nature of a sustainable American human presence on the lunar surface and associated infrastructure development projects.\" \n\nIn other words it will be close to the 2030s before an American lunar lander reaches the Moon. During the Obama Administration we were going to be sending human crews to Mars (if you believed their Powerpoint slides) by the early 2030s. So now NASA is going to take almost as long only to land humans a quarter million miles away. Those are certainly lowered expectations. That sounds like negative progress - again, if you believe NASA's notional Powerpoint slides and white papers.\n\nMeanwhile, in another potential magic act. NASA will wave more Powerpoint charts and make ISS totally commercial: \n\n\"2022 - Based on status of commercial module and/or free-flyer space station development and emerging commercial activities on ISS, fine-tune plans to end direct Federal funding of ISS by 2025 to ensure continuous access to a LEO space platform. Post-2024 Decisions - Based on the status of commercial module and/or free-flyer space station development and emerging commercial human spaceflight activities in LEO, decide on appropriate NASA and overall governmental support to ensure ongoing NASA requirements and permanent U.S. presence in LEO.\"\n\nIn other words NASA says that this ISS conversion to private sector operations will happen - unless it doesn't happen.\n\nAs For Mars, well, the whole \"by the mid-2030s\" thing that Obama people made NASA say does not look very plausible now. Not only will NASA just be landing its first people back on the Moon again, but according to this report it won't even have an architecture for going back to Mars for another 6 years (Apollo had one before people even flew on Apollo but who cares). One would assume, at this snail's pace, that vehicle design and construction would drag on like Orion/SLS has for the past decade. 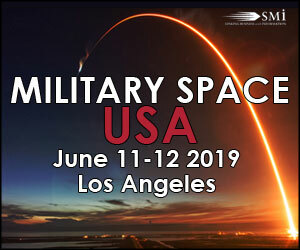 \n\n\"2024- Based on results of investment in Mars-forward technology R&D investment portfolio, Gateway development and operations, launch vehicle and crew vehicle development and operations, decide on architecture of human Mars orbital mission and begin associated systems development. Post-2024 Decisions - Based on results of robotic roundtrip mission, cislunar operations, and progress of Mars-forward technology R&D investment portfolio, determine set of technology investments and timeline required to achieve human landing on the surface of Mars.\"\n\nIn a nutshell, NASA's words may indicate that it has lofty goals but the murky timeline it presents suggests that its ability to do the things needed to meet these goals decreases in terms of speed with every passing year. Meanwhile, American commercial companies with billions in their own funding are planning to send people back to the Moon. \n\nWhat's wrong with this picture? 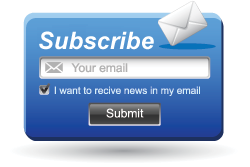 This page contains a single entry by Keith Cowing published on September 24, 2018 11:58 AM. Russia Complains About A Gateway Role It Can't Afford was the previous entry in this blog. Limited Bridenstine Media Opportunity Today is the next entry in this blog.